Health and Safety Accident book which is compliant with the Data Protection Act. 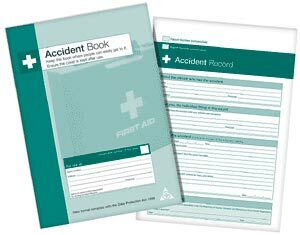 Our standard, low cost A4 size Accident Report Book - It is exactly that, a simple cost effective Accident Book for only £2.25. 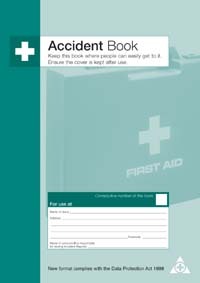 Accident Book (A5 Size) - With 24 high quality pages, our Accident Book is one of the best online. A must for ANY workplace! High quality accident books for amazing online prices! Every business by Law must log all accidents in the workplace so pick up one our fully regulation compliant Accident Books!